Particular attention was reserved for the status of Jerusalem, underlining the importance of recognizing and preserving its identity and the universal value of the holy City for the three Abrahamic religions. 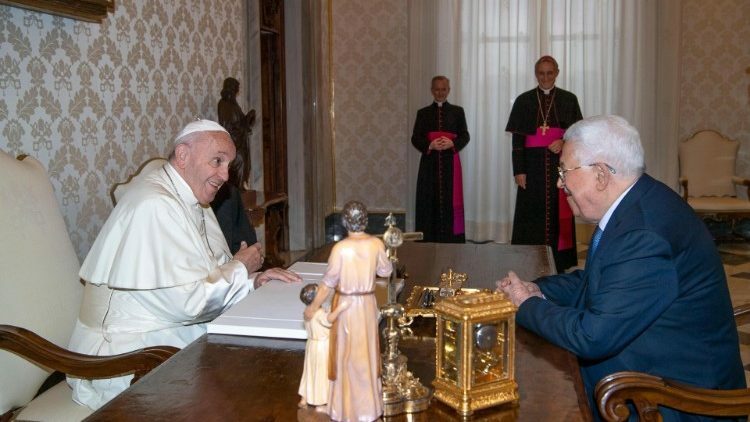 Vatican News, Dec. 3, 2018 – Pope Francis on Monday met with the President of the State of Palestine, Mahmoud Abbas in the Vatican. A statement released following the discussions described the meeting as cordial. During the talks, attention turned to the path of reconciliation among the Palestinian people, as well as the efforts to reactivate the peace process between Israelis and Palestinians.